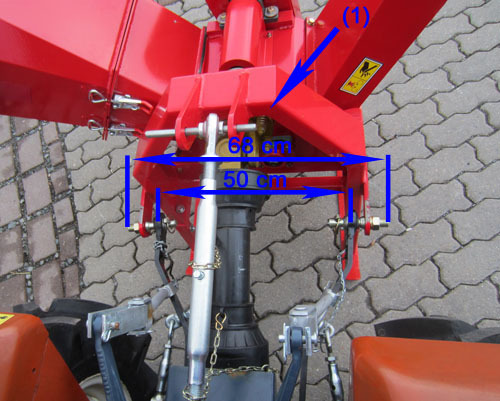 A mini tractor with at least 14.0 ps and a rear three point linkage KATI or KATII and a standard PTO with 1000 rpm clockwise is recommended. Here is a picture from the production. 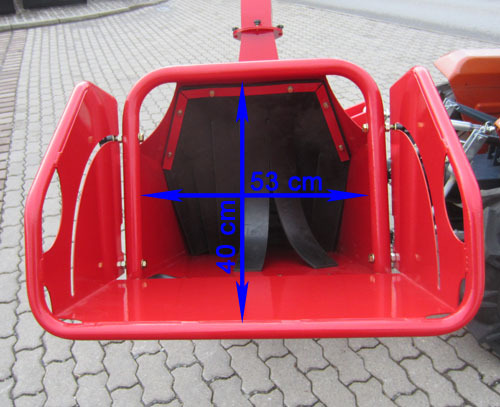 On a 20 cm wide drum 2 chopping knives are mounted. These collect the wood chips and shred it at the same time. Then it is thrown out through the chute. 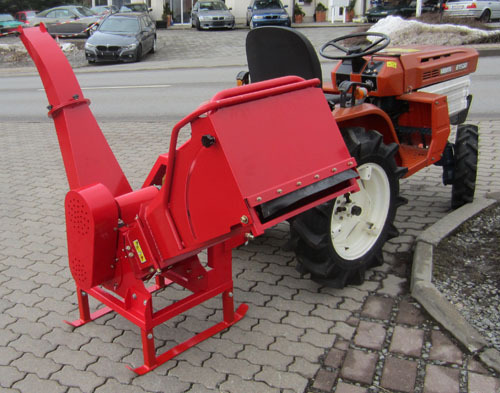 This shredder works very energy-saving because the tractor drives only a small chopping drum which has a minimum weight. The chopper blades are sanded on both sides and can be turned. Because of the 2 chipping blades the shredded material is chipped very small. 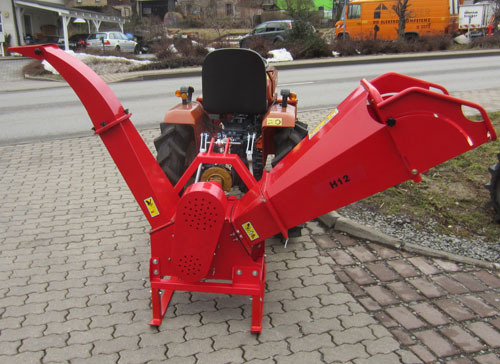 The shredder is designed for small tractors. 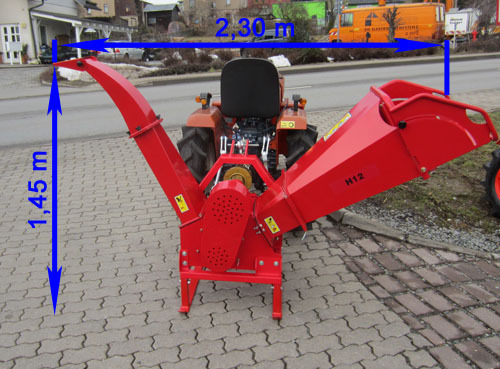 A tractor with 500 or 600 kg net weight can drive this wood chipper because the chipper is a lightweight of 125 kg. The hopper can be folded for transport. It is made CE standard, purchased directly from the factory (imported without middlemen) and we have it in stock. All available spare parts, we also have in stock. 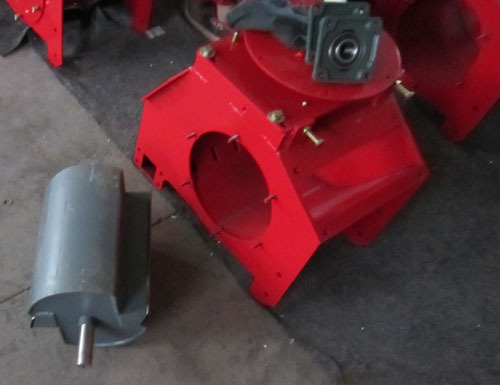 The PTO shaft is equipped with an adjustable friction clutch. 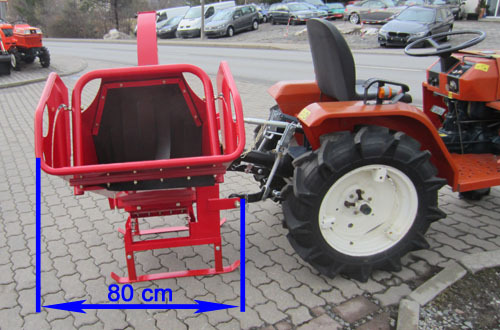 • It is driven by the PTO of a tractor with a PTO speed of 1000 rpm. 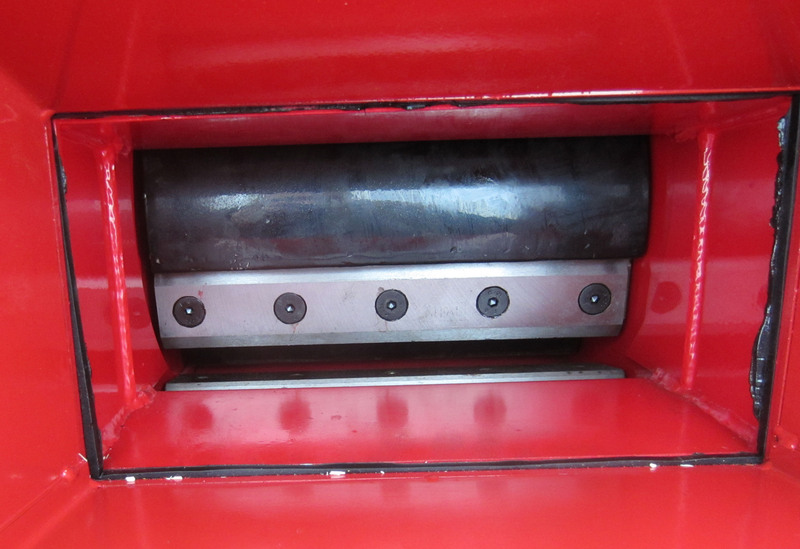 (1) Here is a slip clutch mounted so we have the protection for better visibility. Screwing the bolts outwards results in a measurement of 86 cm in the middle center.